Monogon is a game studio based in Utrecht, the Netherlands. Founded in late 2012, we're currently working on our first game Interloper, an intense real-time strategy game with matches that only take 5 minutes. We aim to make robust games: we take apart a genre, pick our favorite bits, and polish them to a perfect shine. 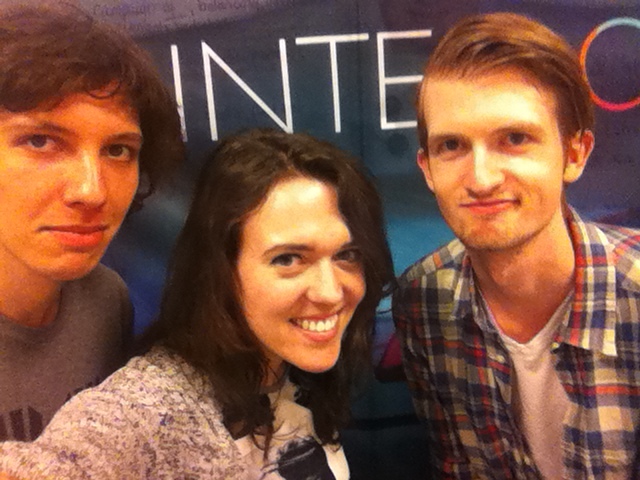 Monogon Games consists of designer Simon, developer Maxim, and Eline, who does pr/marketing/production. Besides that, we have a bunch of people helping us out with art, music, sound, and video. Our office is in the wonderful Dutch Game Garden, the heart of the Dutch indie scene, where we share our knowledge and experience with other indie developers. Monogon Games started out with the arguably less flattering name of Deze Studio (This Studio) at a Global Game Jam in 2012. After winning absolutely nothing we decided to continue working on our jam game. 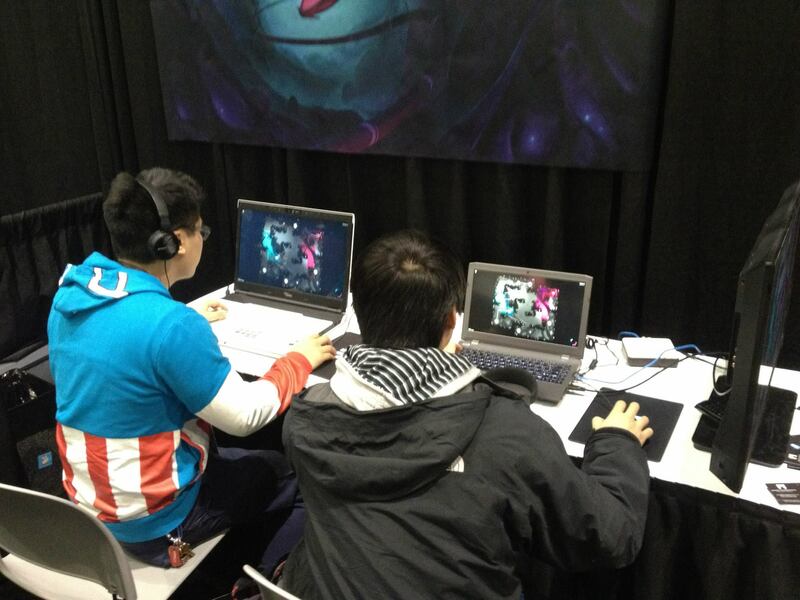 Working together made us realise we were eager to start a company and so, Monogon Games was born. The jam game was dropped and we started working on our first official project: Aril. Later on Aril was dropped as well making way for its spiritual successor Interloper, which is our current and main project. 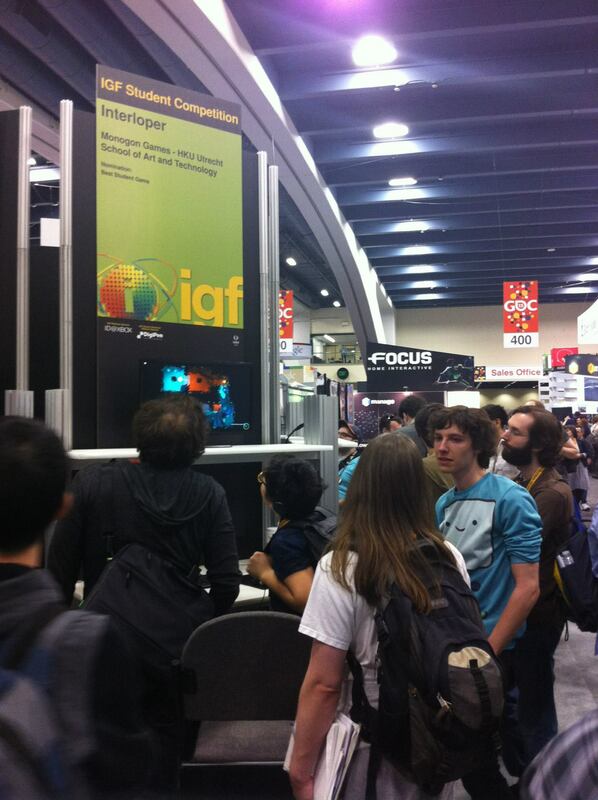 Interloper is a real-time strategy game with matches that take only 5 minutes. "Interloper is an RTS on speed. A micro-sized distillation of the genre, its matches are meant to last about five minutes." "Anything can catch my eye while browsing for new games. A gorgeous art style, my preferred theme of sci-fi, genres rarer in indie circles, the list of things that take my fancy is as numerous as it is seemingly random. Sometimes a game will hit all of these, like Interloper." "Interloper might be the RTS to help people cross over that gap, from complexity to simplicity." "Interloper creates a pretty smooth, very approachable style of play that’s complex enough for those with a taste for real-time strategy, but with difficulty levels that even the less-inclined can get the hang of it." Personal tweets by Maxim (@MaximSchoemaker) at twitter.com. Personal tweets by Simon (@SimonNaus) at twitter.com.